As kids are heading back-to-school, Parade has named beloved science teacher extraordinaire Ms. Frizzle, from Scholastic Media’s The Magic School Bus, as one of their “most inspiring teachers from TV and movies”! The vote is on for the top educator and we’re hoping you can help Ms. Frizzle reach #1! Here’s the link. Please vote for her! Airing for 18 consecutive years and seen in more than 39 countries, the Emmy-winning Magic School Bus is the longest-running kids’ science series in history. And the legacy continues with a thrilling new Netflix original series, The Magic School Bus 360°, that will premiere in 2016. 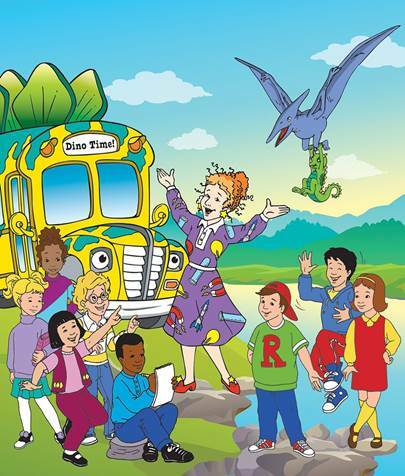 The all-new CGI animated series from Scholastic Media will feature exciting adventures that will bring young viewers on high-flying hijinks through the incredible world of science, along with the indomitable Ms. Frizzle and her intrepid class.